Properly disposing of your medical waste reduces exposure for your employees and helps keep the environment clean and safe. If you produce chemotherapy waste, you will be dealing with hazardous and borderline hazardous waste that you must handle and dispose properly. Chemo waste includes materials contaminated with or used during the preparation and administration of chemotherapy. Uncontaminated chemotherapy waste items can be treated as regulated medical waste, and belong in their own waste category. However, items contaminated with a substance that is toxic, flammable, corrosive, or reactive are deemed hazardous by the EPA (many chemo waste items fall into this category) and need to be treated as hazardous waste. Because hazardous waste must be handled and disposed separately from other chemo waste items, you will want to separate your chemo waste into separate waste bins: one for non-hazardous chemo waste (yellow), and one for hazardous waste (black). Chemo waste can be separated into two categories: hazardous and non-hazardous, but you may hear chemo waste referenced in other ways too. Non-hazardous waste can also be referred to as yellow bin waste, trace chemo waste, or RCRA empty waste. Likewise, hazardous waste may be referred to as black bin waste, bulk chemo waste, or non-RCRA empty waste. Trace and bulk chemo waste items are typically the exact same items, and are segregated based on levels of contamination. Waste nearly free of contamination qualifies as trace waste, and waste that is highly contaminated qualifies as bulk waste. The reason these items are disposed of separately is that highly contaminated chemo waste, or waste containing specified drugs can be classified as hazardous waste. RCRA (created by the EPA) created general guidelines determining what types of waste classify as hazardous. If any chemotherapy waste item qualifies as hazardous, it belongs in a black waste bin, if it does not, it must be put in a yellow bin for separate disposal. When Do I Need Yellow Bins/Bags? Chemo waste that goes in yellow bags or bins is treated as regulated medical waste. The exact rules will vary by state, but according to RCRA it must contain less than 3% contamination. This waste can also be referred to as trace chemo waste or RCRA empty waste, and it goes in a yellow bag or bin labeled as non-hazardous chemotherapy waste. When Do I Need Black Bins/Bags? Chemotherapy waste that goes in black bags or bins is considered hazardous by RCRA. Many of these items are unused versions of items that could otherwise be placed in yellow bins, such as full vials, IV bags, or certain bottles of pills. 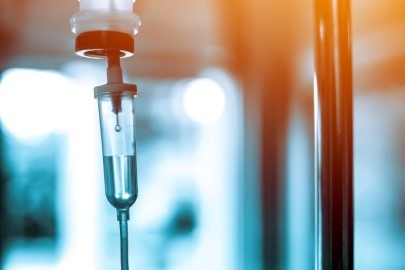 If chemo fluids contaminate gloves or gowns during the administration of chemotherapy, those items would also be considered hazardous and go in a black bag. Some states require all chemo waste to be handled as hazardous waste. Other states require trace chemo waste to have absolutely zero contamination. Always check with state and local laws for a better understanding of medical waste requirements at your facility. Shred Nations partners with certified medical waste disposal providers across North America. We can help you find a reliable provider in your area who can handle your blue, black, yellow, red, and sharps medical waste safely and responsibly. Call us today at (800) 747-3365 or fill out our form to get free quotes on medical waste disposal services near you.